After two stops in a row opening for bands I'm just not a big fan of, JoC favorites Lucero will be headlining their own show at The Bottleneck in Lawrence on Monday, December 6th. I got to catch them a couple of months ago when they opened for the Old 97's and they were great as always. I've seen this band a handful of times now live and they have yet to disappoint me so check this show out if you can. 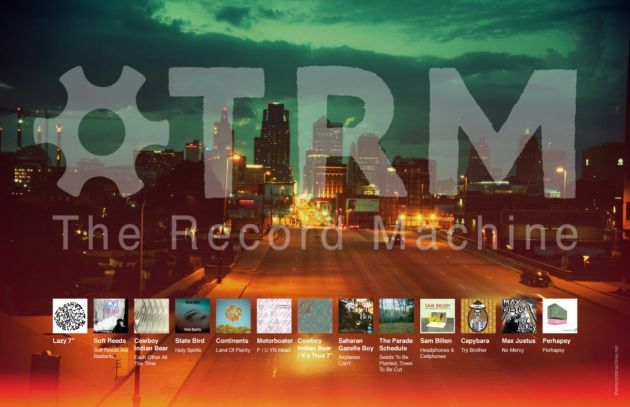 Kansas City based record label The Record Machine has some of the best local bands currently on their roster (Soft Reeds, Cowboy Indian Bear, Capybara). Now they are also offering you an awesome bundle of music. Included for the measily sum of $25 are physical copies of two of the better local albums out this year with Soft Reeds' Soft Reeds Are Bastards and Cowboy Indian Bear's Each Other All The Time. 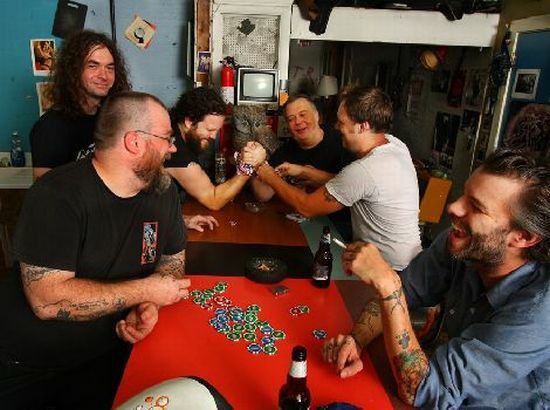 Also included are digital copies of the two albums above as well as digital copies of albums from Saharan Gazelle Boy, Continents, State Bird and Motorboater. To top off the whole deal you also get the poster above which is a wicked picture of the KC skyline. Please cruise over to THE WEBSITE to purchase the bundle and support some really great locally based bands. Bradford Cox of Deerhunter is one of those musicians that folks have labeled as a genius long ago. I never really got it either. I thought 2007's Cryptograms was okay but didn't understand the hype around it. The double album of Microcastle/Weird Era Cont that the band released in 2008 was definitely more my speed, but I still didn't love it. Until Logos from Bradford's solo project Atlas Sound came out in 2009, I had never grasped what so many people love about Bradford Cox's music. That album is still in regular rotation at my house but I believe Deerhunter may have topped it with their new record, Halcyon Digest. I'm about a week late on posting about this album and certainly most folks have read plenty about Halcyon Digest by now. It reminds me a bit of initially listening to Wilco's Yankee Hotel Foxtrot in that there are a few tunes on the album ('Earthquake' and 'Sailing') that don't work well as a standalone singles; but within the context of the album sound absolutely great. There are still a decent amount of songs on the album that would work as singles and could propel Deerhunter to the indie stardom level that The National and Arcade Fire now enjoy. 'Helicopters' is one of the most mesmerizing tracks of the year and I'm pretty sure I played it back to back about a half dozen times the first time I heard it. Actually, the whole second half of the album from 'Memory Boy' all the way to the closing track 'He Would Have Laughed' is pretty brilliant. 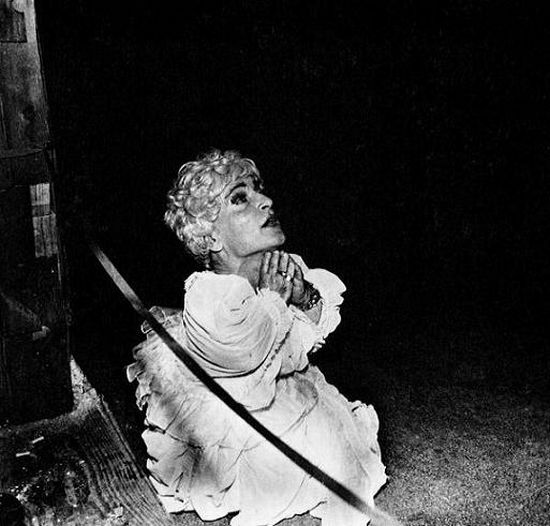 I'll be lucky enough to catch Deerhunter while I'm in Chicago later this month since they don't have plans to come through the Kansas City area anytime soon. Hopefully their concerts live up to the expectations I have after listening to Halcyon Digest.